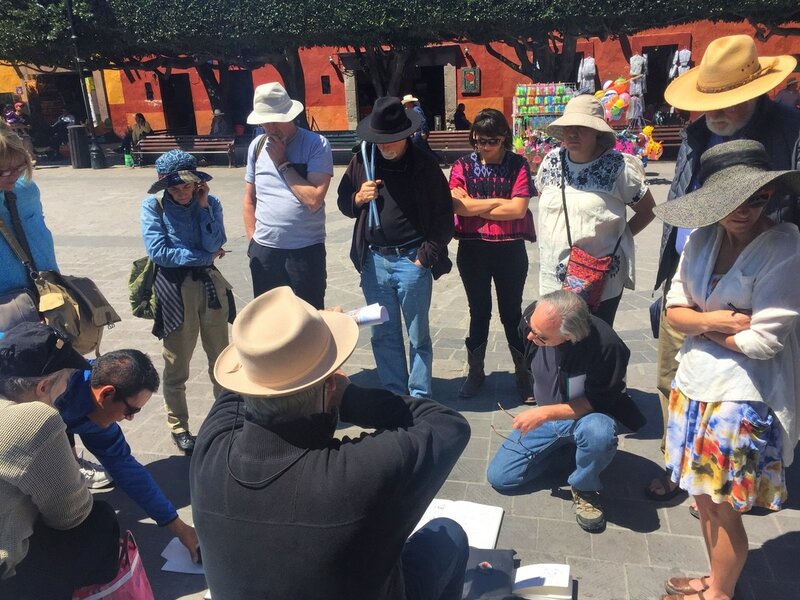 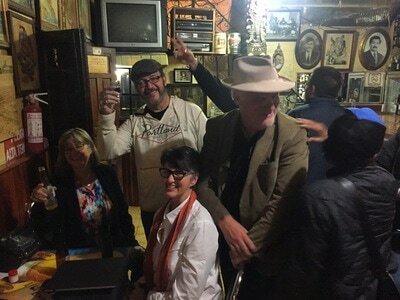 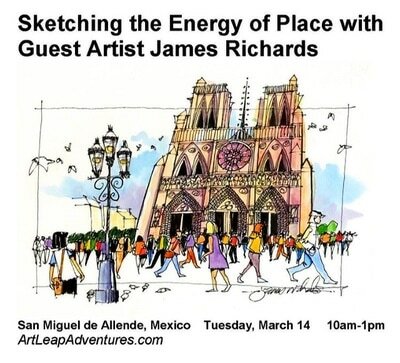 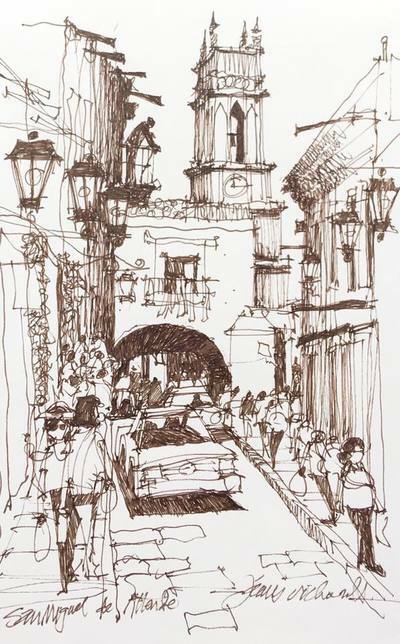 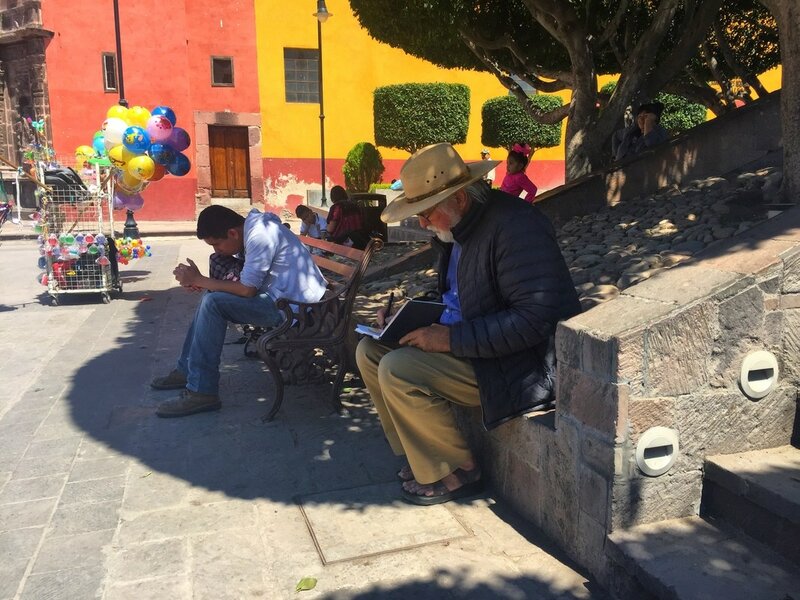 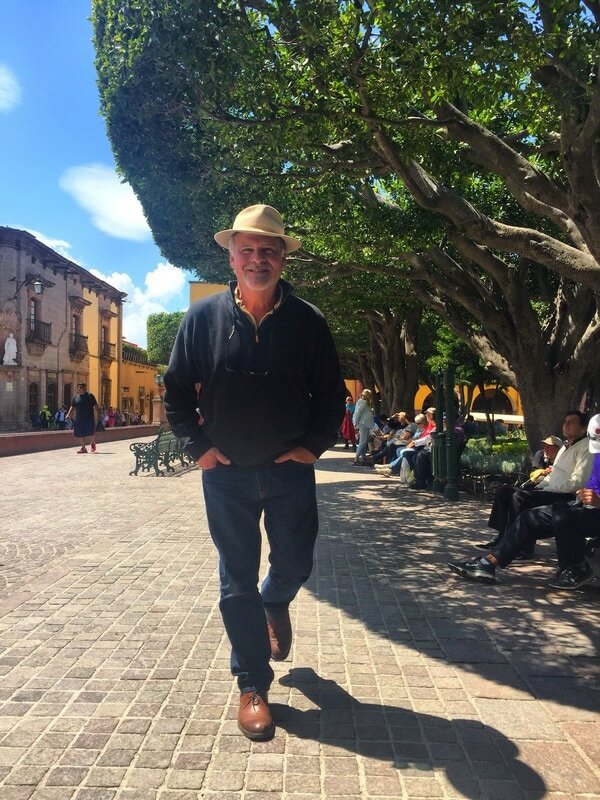 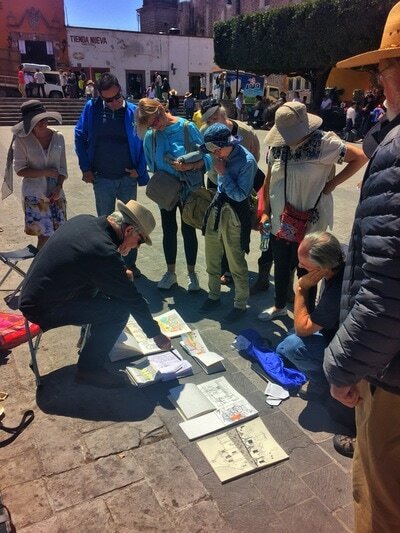 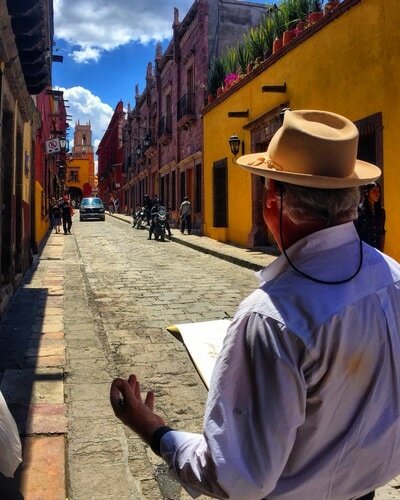 Half-day workshop in San Miguel de Allende with designer, artist, author and Urban Sketcher correspondent James Richards, who had us focus on sketching the public realm—the streets, parks and plazas between buildings—where the life of great cities takes place. 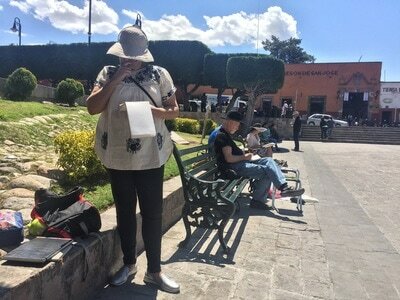 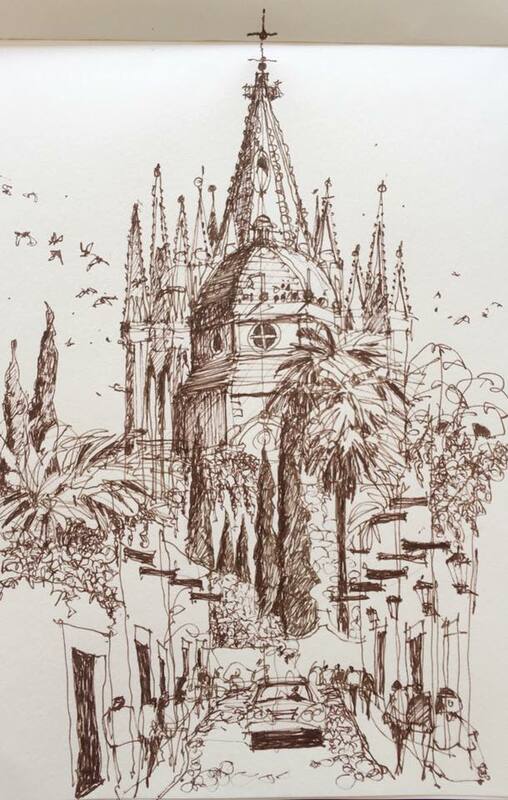 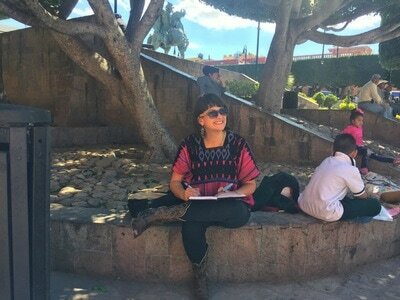 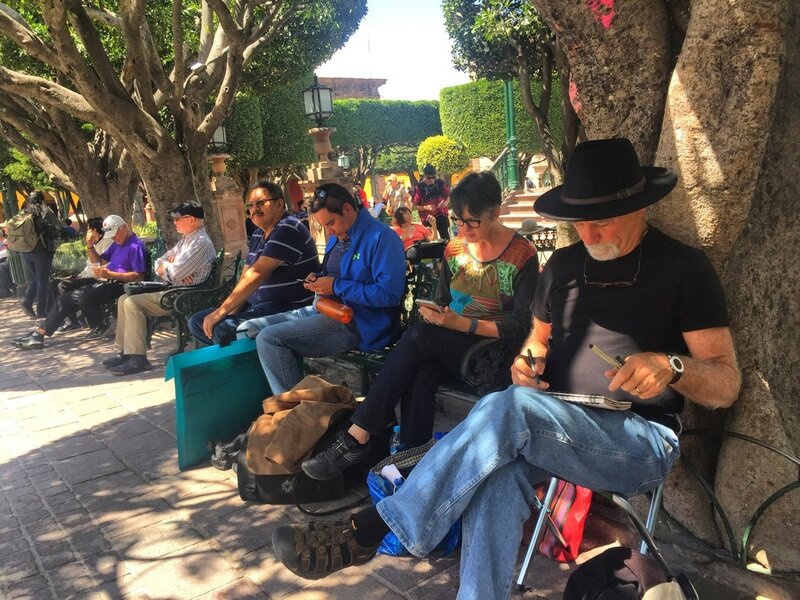 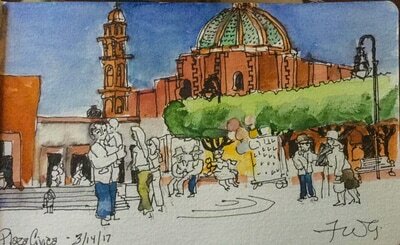 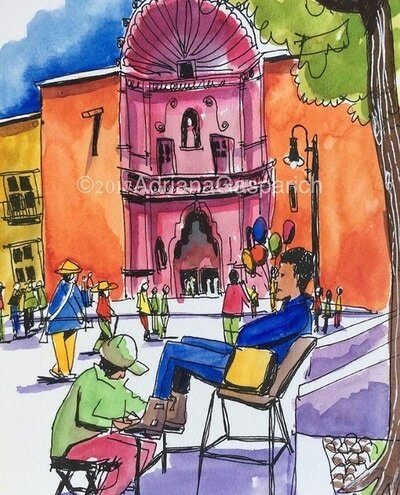 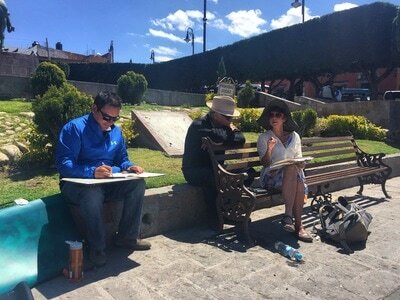 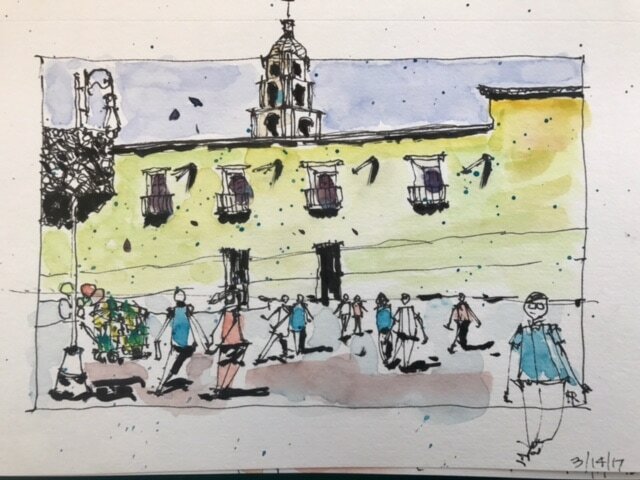 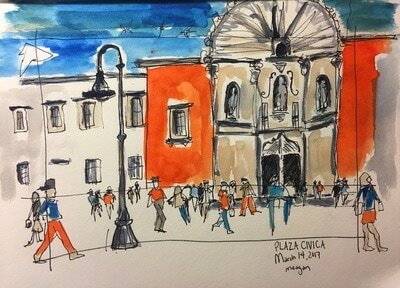 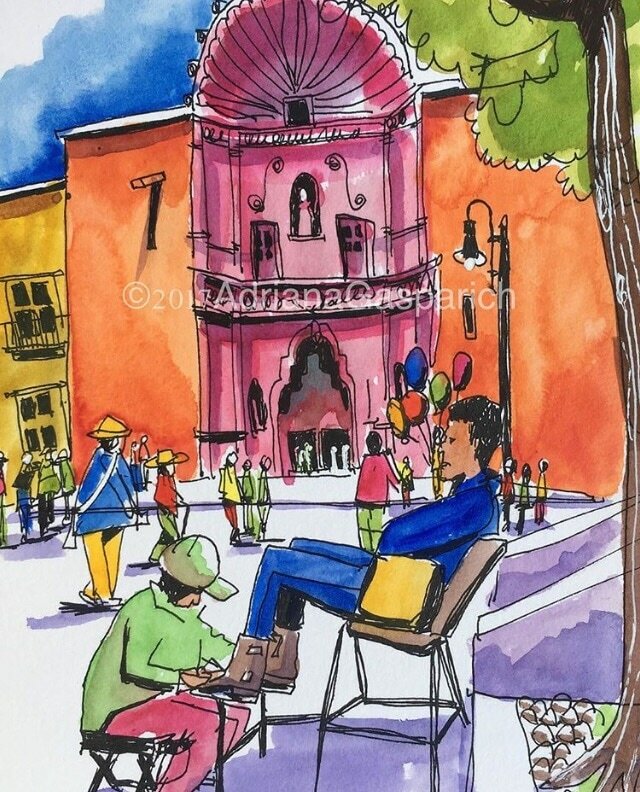 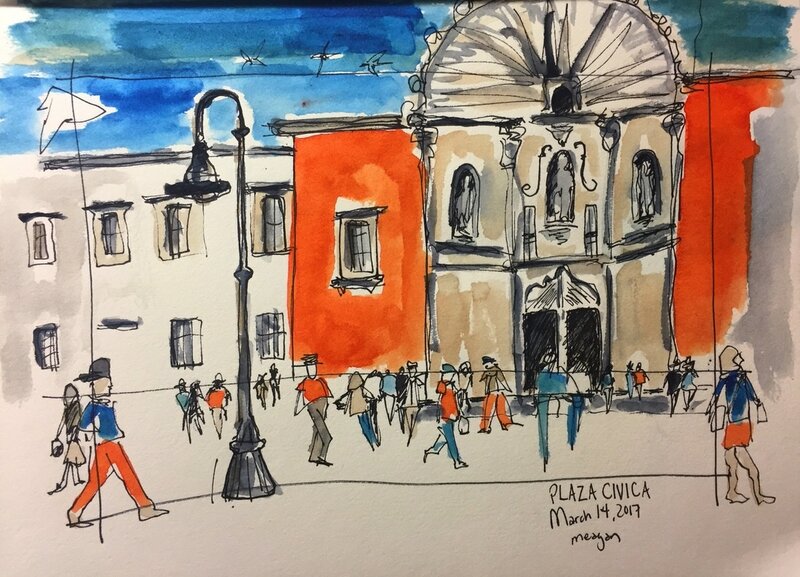 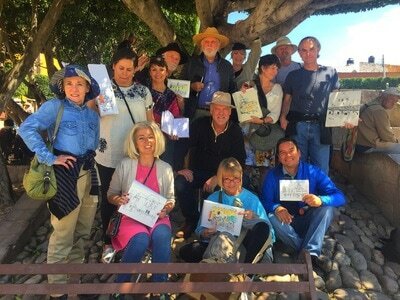 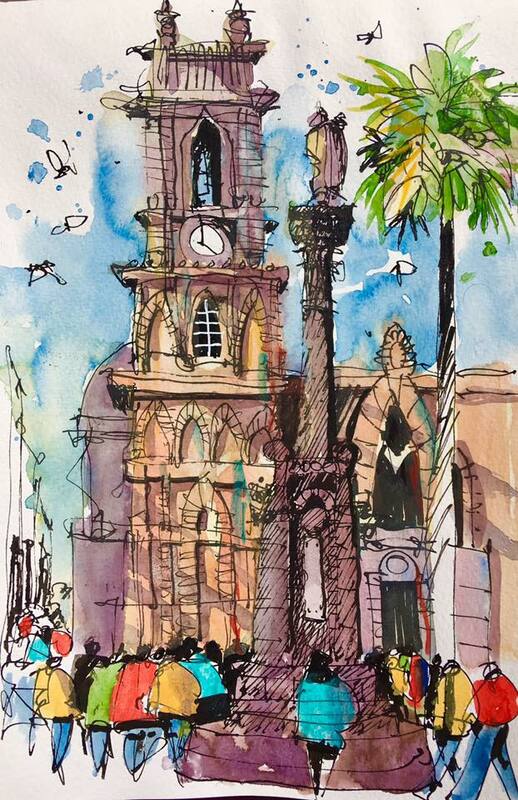 We explored a number of strategies to improve our drawings, and then practiced Jim's techniques in both the Plaza Civica and when we joined the regularly scheduled Tuesday Sketch in the main jardin with the Urban Sketchers of San Miguel de Allende. 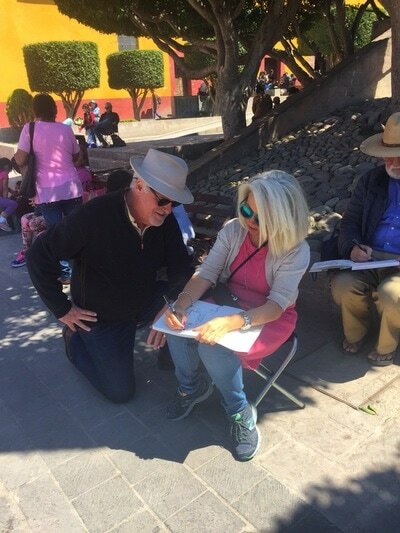 We're hoping to see Jim and his wife Patti back in Mexico for more workshops in the future, in fact he even wrote about it in his blog. Stay tuned for the scoop-- and gracias to Jim for a great workshop! 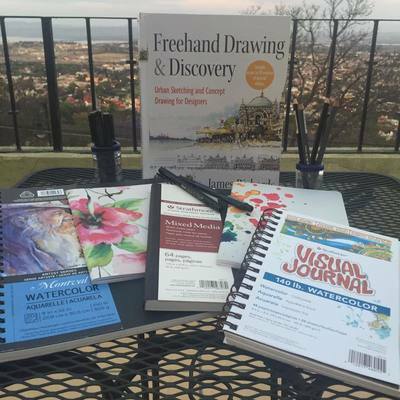 On the calendar: "Next Level Watercolors with Lourie-Squared"